Purple or white dendrobium orchids, carnations, dark accent flowers, an emerald palm leaf and other tropical greens are arranged in a low container. Perfect when you've got a yen to send Zen!. 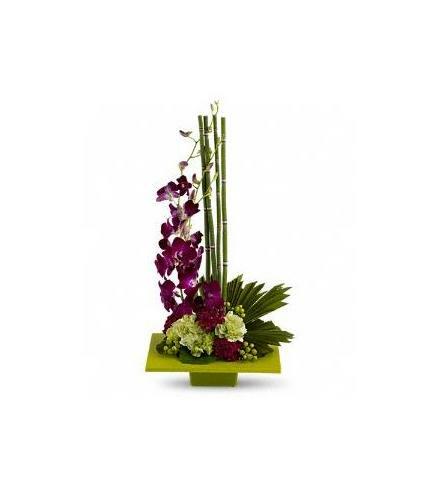 Celebrate your/their Anniversary with the Zen Artistry with Orchids.